Following the execution of the U.S. government’s “zero tolerance” policy on undocumented migration into the country, which resulted in the separation of thousands of children from their parents, U.S. district judge Dana Sabraw deemed the operation unconstitutional and ordered the administration to reunite the families torn apart by July 26, 2018. 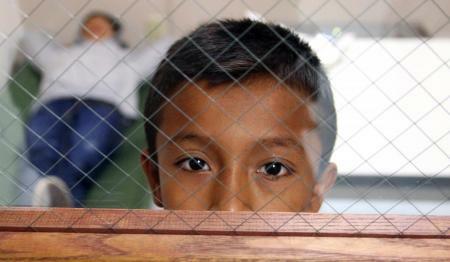 Although the court-ordered deadline had passed, there are still more than 500 migrant children pending reunification. For some, the prospect of seeing their parents in the foreseeable future remains tragically unlikely. Responding to a lawsuit filed against them by the American Civil Liberties Union Foundation (ACLU), the U.S. Immigration and Customs Enforcement (ICE) reported that as of August 20, there were 528 migrant children still held in government- contracted facilities without their parents. In the same report, the government indicates that 23 of the children are under the age of 5, 35 have parents who failed to pass a background check, and 343 whose parents were already deported back to their home countries. More than 700 children were reunited with their parents in detention facilities, where their conditions remain harsh. It has also been reported that parents who were reunited with their children are still being placed under immense pressure to abandon their immigration cases and opt for deportation, in which case they have to make the gutting choice between being deported with their children or leaving their kids behind, hoping that they will somehow be granted shelter in the U.S. in the future. The plight of Central American migrants in the U.S. is still severe. And pressing. It seems that the nation’s attention has drifted away from migrant families and fixated elsewhere, on a new White House saga. Yet, it is crucial that both the public and the media remain alert to the abhorrent treatment migrants are subject to in the Southern border. It is imperative that the hundreds of children still separated from their parents won’t be forgotten, and that sufficient pressure will be placed on the government to assume responsibility over its devastating policy and take the actions necessary to remedy the tremendous damage it caused. Evidently, only an ongoing and persistent public outcry could prevent these children from growing up as orphans. As Afghanistan prepares to go to the polls, it seems the electoral commission is unable to maintain the campaign regulations it set out. Pakistan – the country of some 200 million inhabitants – has a lot to gain from a positive foreign policy at the regional level. Shameful walls are a symbol of fortress Europe, which seeks to make it increasingly difficult for migrants to step foot on the continent.